Now you can finally have rye bread again! 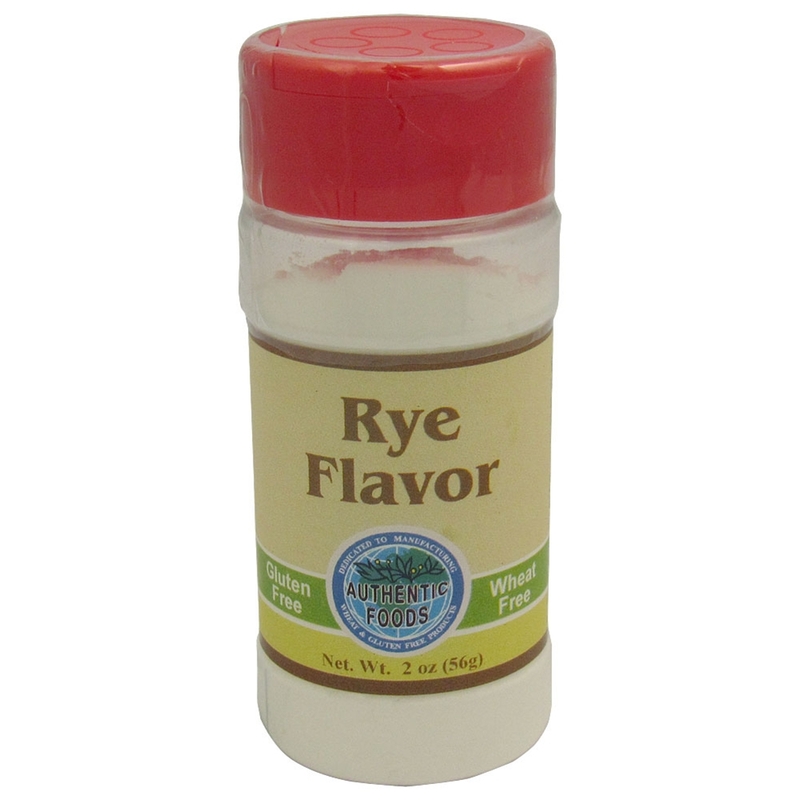 The Authentic Foods Rye Flavor is an all natural powder made from natural flavors. It is the perfect addition to your gluten-free pastries, rolls and breads. Just add ¼ teaspoon of the Authentic Foods Rye Flavor to each cup of gluten-free flour. Ingredient: All flavor ingredients in this product are approved for use in the regulation of the Food & Drug or are listed as generally recognized as safe on a reliable published Association list. Non-Flavoring: Dextrose, cornstarch, Tricalcium Phosphate (a natural additive to prevent caking). Your rating was successfully saved, and is pending approval. Thank you! Your rating was successfully deleted. This product has no customer reviews. If you have any questions regarding this policy, please contact us at 1-800-806-4737 within the United States. Outside the United States, 310-366-7612. If you are dissatisfied with any of our products for any reason, send us an email within 30 days of receipt of the product stating the reason for dissatisfaction at sales@authenticfoods.com. Refunds are made only on the price of the product plus applicable taxes. We will send you a full refund within seven business days. If the purchase was made with a credit card, your account will be adjusted within one billing cycle. Copyright © Authentic Foods, 2011. Powered by Aspdotnetstorefront.